YouTube, Instagram, Facebook, Twitter, Website. The post popular samosa flavour of 2017 - it's crunchy, spicy and perfectly creamy! Begin by cooking the chopped onion in preheated oil until nice and soft. Add in the chicken and cover and cook on medium heat until water evaporates. Add in the ginger and garlic paste, cumin powder, black pepper, salt, peppers, chillies and jalapeño sauce. Stir and leave it aside to cool. Once cooled, add in the cream cheese, cheddar cheese, coriander and spring onions. 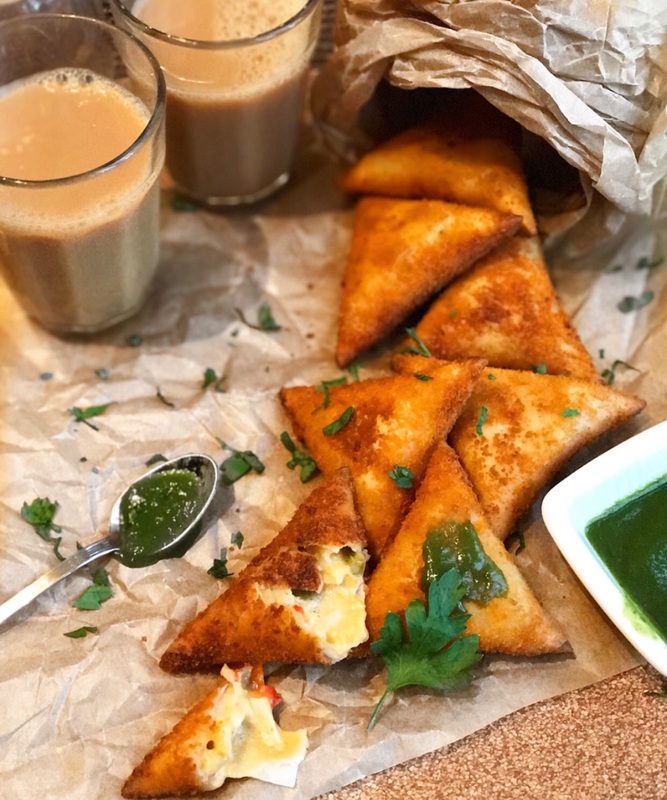 Once mixed, fill the samosas using samosa leaves and a flour and water paste to seal the edges. Once sealed it is time to breadcrumb the samosas. Dip the samosas into a whisked egg and then into a bowl of breadcrumbs until completely covered. Fry until golden brown and enjoy!